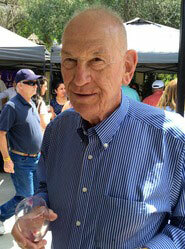 The California State Fair Home Wine Competition supports and promotes winemaking as a home craft and is designed to increase the knowledge, skills and abilities of the amateur winemaker. The competition provides an opportunity for these wines to be judged in an organized and professional manner while delivering impartial evaluation feedback, and to recognize talent of the successful home winemaker. New this year: Award ribbons will not be automatically sent to winners, you will have to order and pay for them separately. Amateur winemakers can compete for medals and ribbons in the 2017 San Diego County Fair Homemade Wine competitive exhibit. 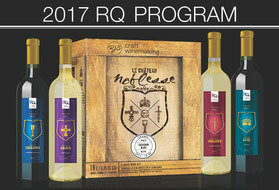 New this year: Only one (1) bottle of wine is required for submission, as the awards ceremony and exhibitor tasting will be on the evening after the morning judging. Easier parking and entrance into the Tasting Award Ceremony. If you cannot personally deliver your entry, your designee must deliver your entry and pick up your Fair passes and tasting tickets. You must authorize in writing this person is picking up passes and tickets, and that letter must be surrendered at the time of delivery. Deadline for Online Entry Registration is Wednesday, March 29. Delivery of Entries: Wednesday, April 12, Noon - 7 :00pm. Deliver to the Fairgrounds. Access is through Solana Gate off Via de la Valle. Award Ceremony and Exhibitor Tasting: Saturday, April 22 from 7:00pm - 9:00pm, at Surfside Race Place at the San Diego County Fair. Only ticket holders will be admitted. Anyone under age 21 will not be permitted at this event - No Exceptions! 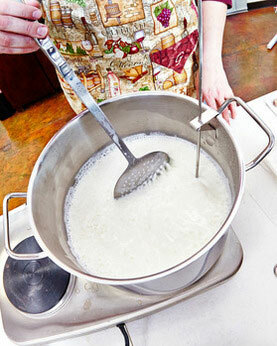 These are our last Cheesemaking Fundamentals Classes until November! Curds and Wine will be hosting free home winemakers' seminars every month from February through June on the third Saturday at 1 pm* (except May). Seminars are given by Lum Eisenman, a winemaking guru that we are lucky to have in the San Diego area. Lum will share his expertise on various winemaking techniques and issues. 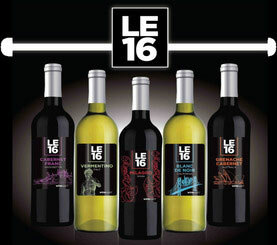 If you already ordered the March releases we will contact you when they arrive at Curds and Wine. If you did not preorder any of these kits, contact us to check availability - very limited quantities are available!